That innovative, forward-looking philosophy was typical of Wood, a revered NASCAR icon who was 93 when he died Thursday night in his beloved hometown of Stuart, Virginia. He had been in declining health for the last year or so, to the point of missing the 2018 Speed Week program in Daytona Beach for the first time in 70 years. 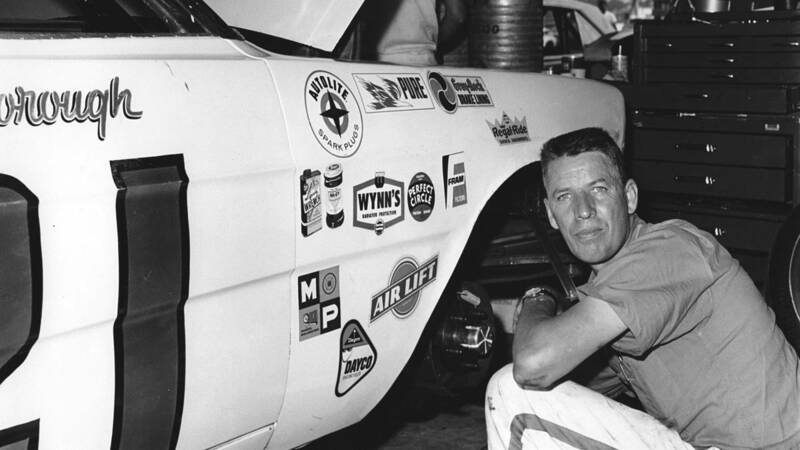 He had a brief career as a driver for his family’s Ford-based team in the early 1950s before stepping aside to become one of the sport’s most successful and innovative team owners. He and his brothers Leonard, Clay and Delano -- plus friends, neighbors and other relatives -- formed Wood Brothers Racing in 1950. Glen made only 62 career Cup Series starts, winning four times at Bowman Gray Stadium in Winston-Salem, North Carolina. But as an owner and hands-on manager, he brought many of the sport’s greatest drivers to the No. 21 Fords and Mercurys: A.J. Foyt, Cale Yarborough, Donnie Allison, Junior Johnson, Dale Jarrett, Bill Elliott, Ricky Rudd and Fred Lorenzen, plus the late Dan Gurney, David Pearson, Buddy Baker, Curtis Turner, Joe Weatherly and Neil Bonnett. 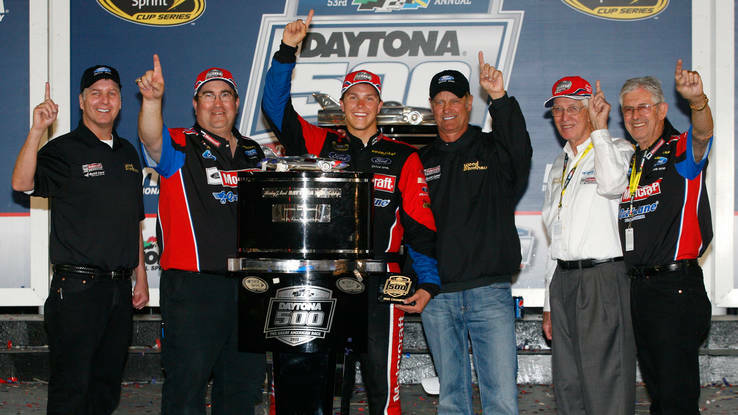 Wood Brothers Racing goes into the 2019 season with 99 Cup Series victories, including Daytona 500s with Yarborough, Pearson, Foyt, Tiny Lund and Trevor Bayne. It has won at least one Cup Series race in each of the last six decades, a streak that grows to seven if NASCAR-sanctioned Modified, Sportsmen and Convertible competition is included. The team’s most recent victory was at Pocono, Pennsylvania, in the summer of 2017 from Ryan Blaney. Its current driver is Paul Menard. Wood received the Spirit of Ford Award in 1999, an honor which recognizes significant contributions to racing and is the highest recognition in Ford Performance Motorsports. He was named one of NASCAR’s all-time Greatest 50 Drivers in 1998, was inducted into the Virginia Sports Hall of Fame in 1996, the International Motorsports Hall of Fame in 2002 and the NASCAR Hall of Fame in 2012. “This is a difficult day for all of us at Ford Motor Co.,” said Edsel B. Ford II of Ford Motor Co. “Glen Wood was the founding patriarch of the oldest continuously operating NASCAR Cup Series team and we consider Wood Brothers Racing a part of our family, the Ford Family. The Wood Brothers race team, by any measure, has been one of the most successful racing operations in the history of NASCAR. Most importantly for our company, Glen and his family have remained loyal to Ford throughout their 69-year history.